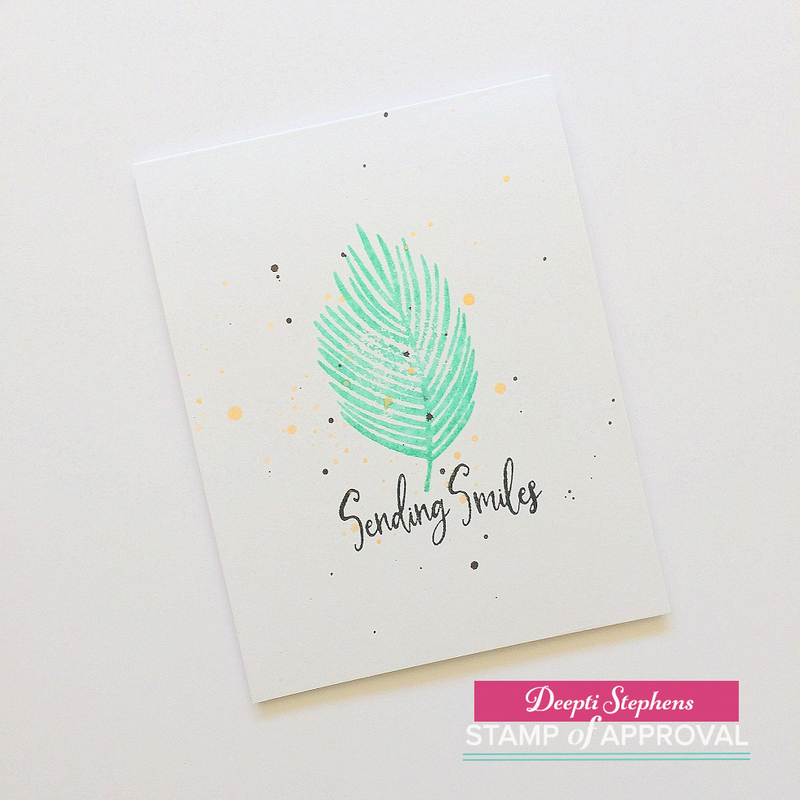 The first one is a one layer card with simple stamping. 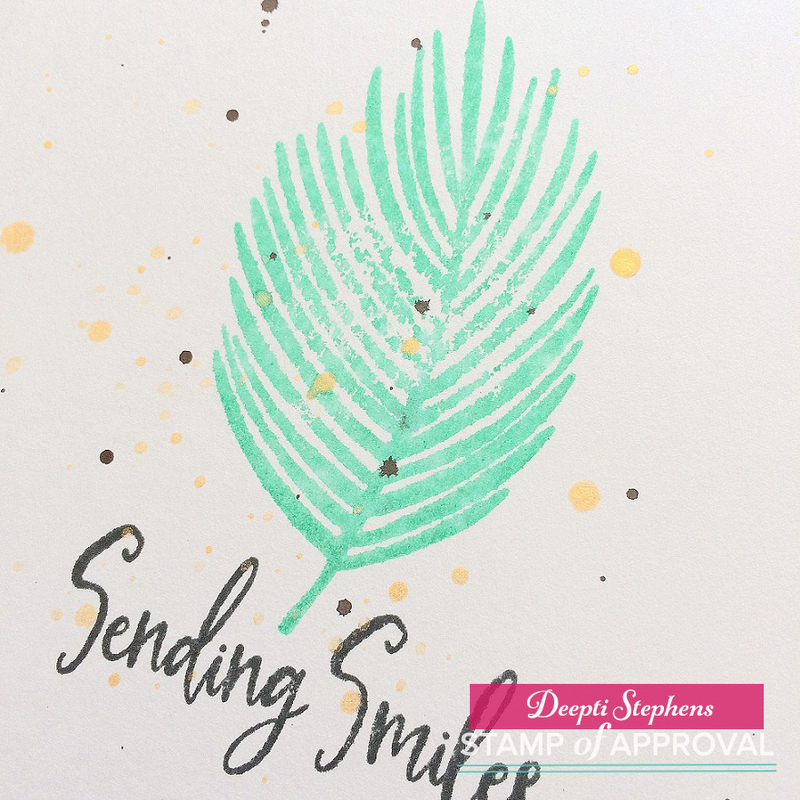 I stamped the leaf image and sentiment from Leave Me in Paradise and Pineapples and Smiles stamp set with Lucky Clover Distress Ink and CP's Midnight Ink respectively. Then I added splatters of black and gold inks to enhance the beauty of the card design. Here comes the second card which I made for CP's Instahop. 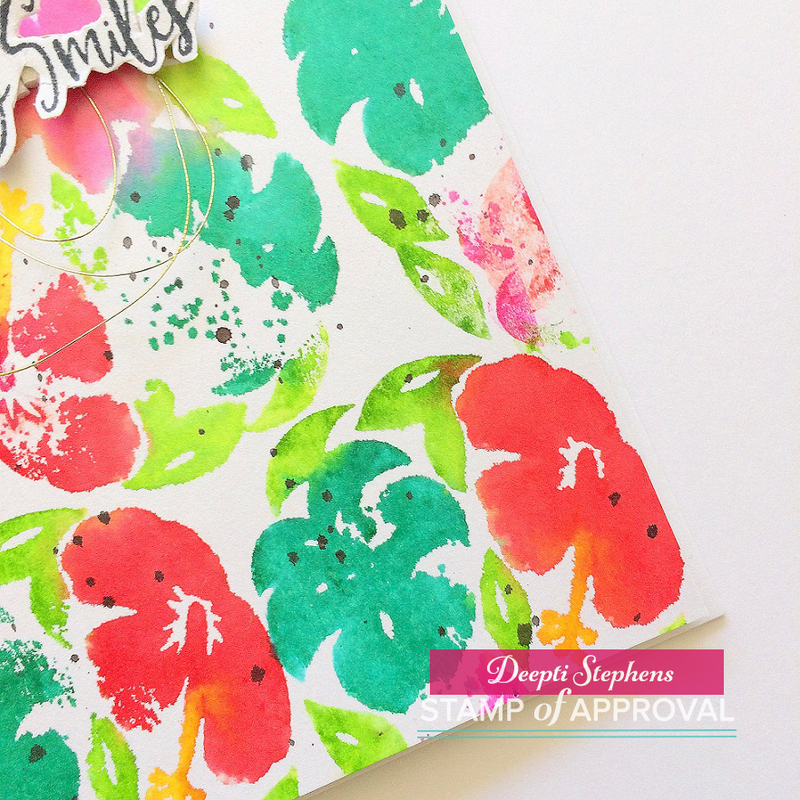 I colored the pineapple stamp from Pineapples and Smiles Stamp Set with watercolor brush pens. 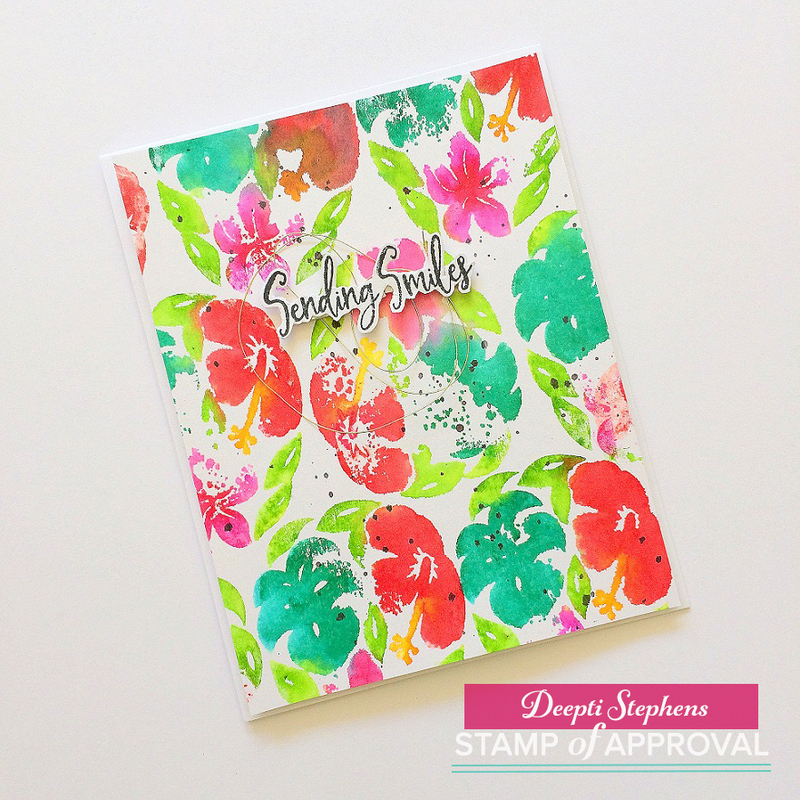 Then I spritz water on the stamp and stamped on the card base. 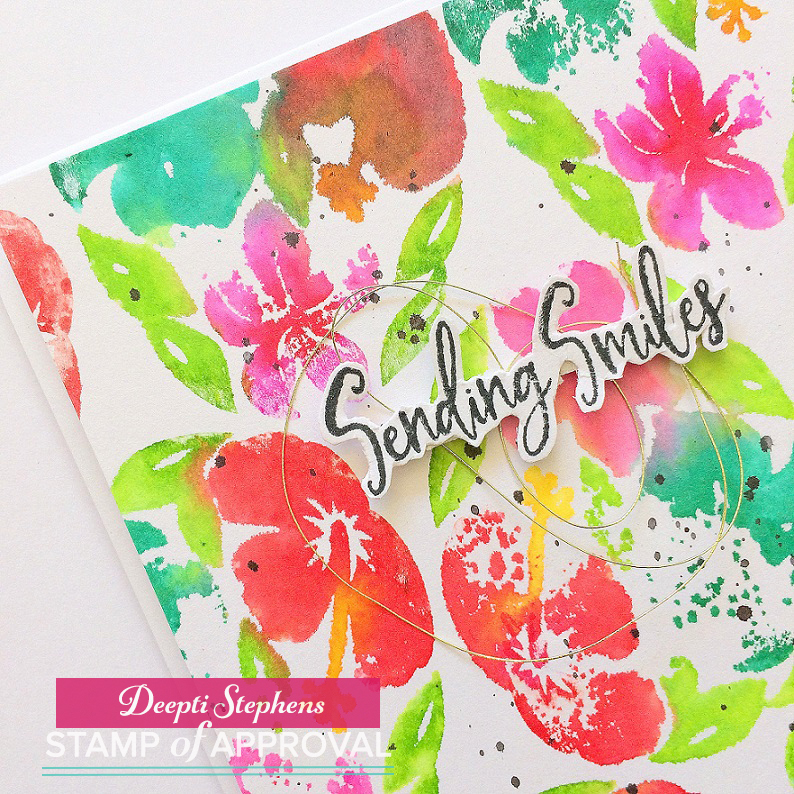 This created a beautiful floral watercolor background. I hope you like these cards and got inspired. Here is the list of supplies I used in today's post. Hello everyone! 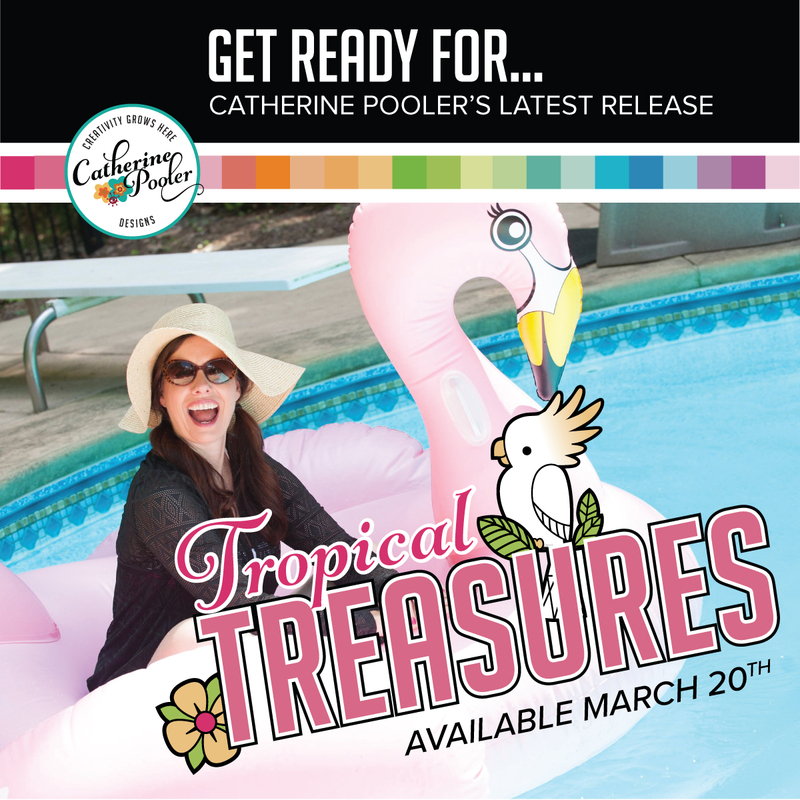 Welcome to Tropical Treasures Blog Hop. 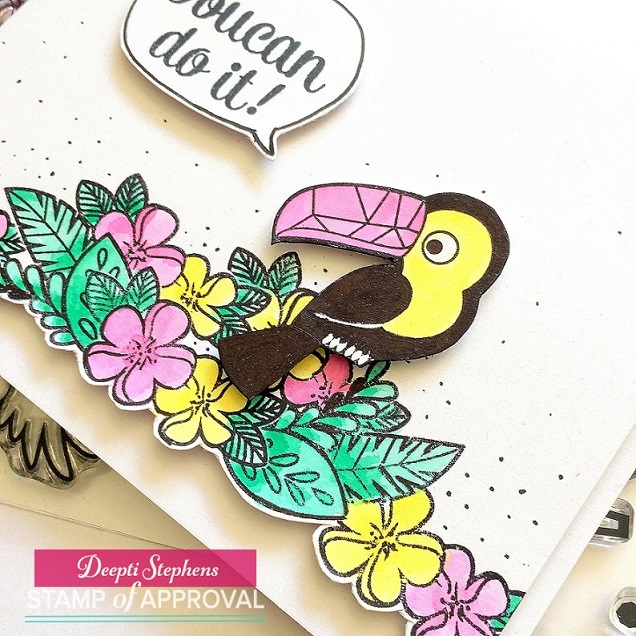 In July 2018, Catherine Pooler released a wonderful Stamp Of Approval Box called Tropically Yours. 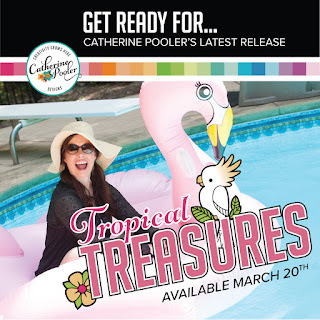 So this hop all about Tropically Yours SOA Release along with coordinating Tropical Treasures goodies!! If you have arrived here from Erica's blog then you are right on track. If you miss the hop start again from HERE. 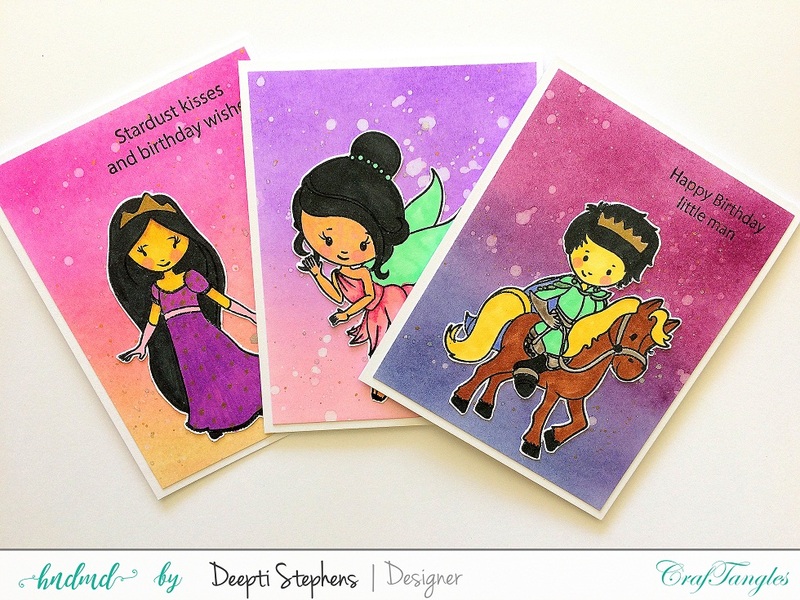 So now let's move on the cards I made for this blog hop. 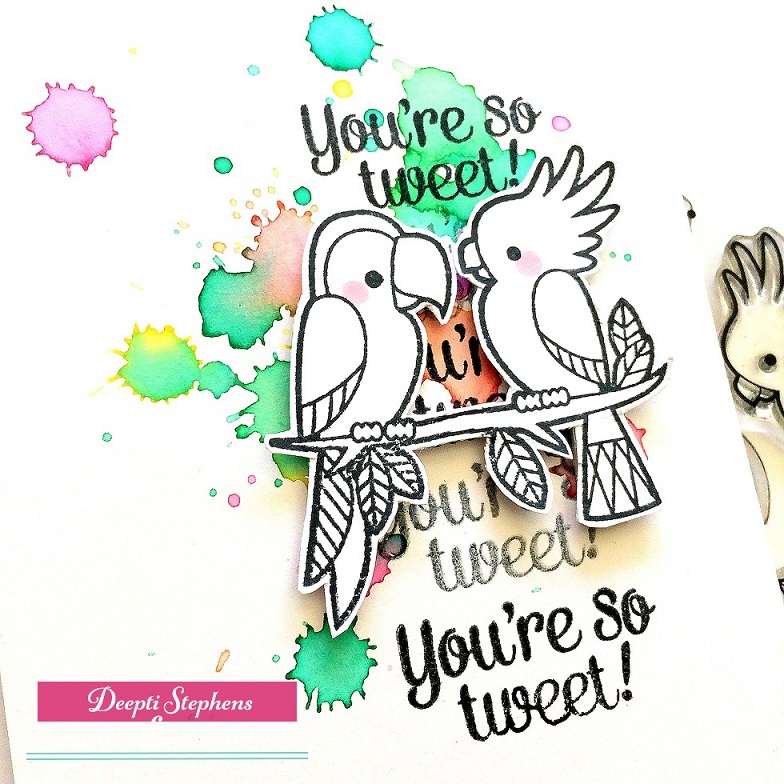 This card features Toucan Do It Stamp Set. 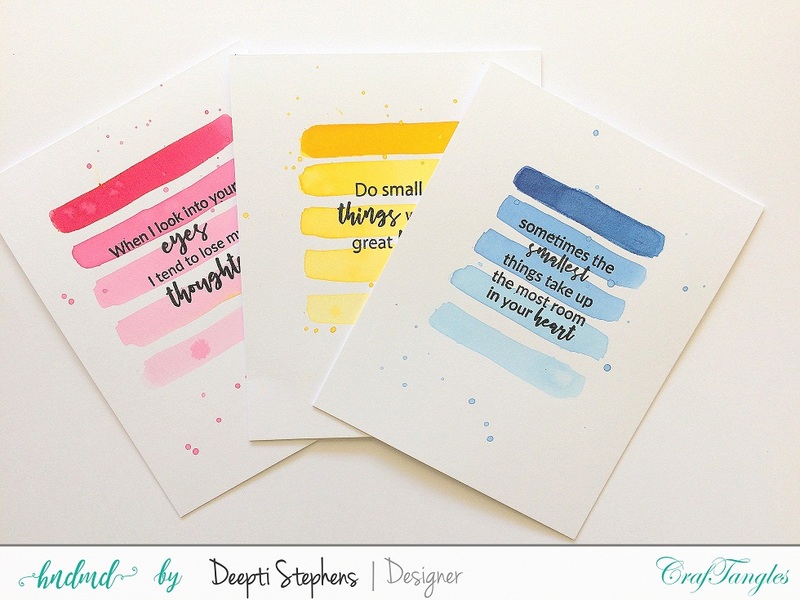 I added droplets of ink from Be Mine, Mardi Gras and Limoncello Ink pads from Catherine Pooler's Party Collection : The Carnivale Collection Bundle. Once the ink dry, I went ahead and stamped the sentiment in first and second generation stamping. Then stamped the birds, fussy cut them and adhered over the card front. 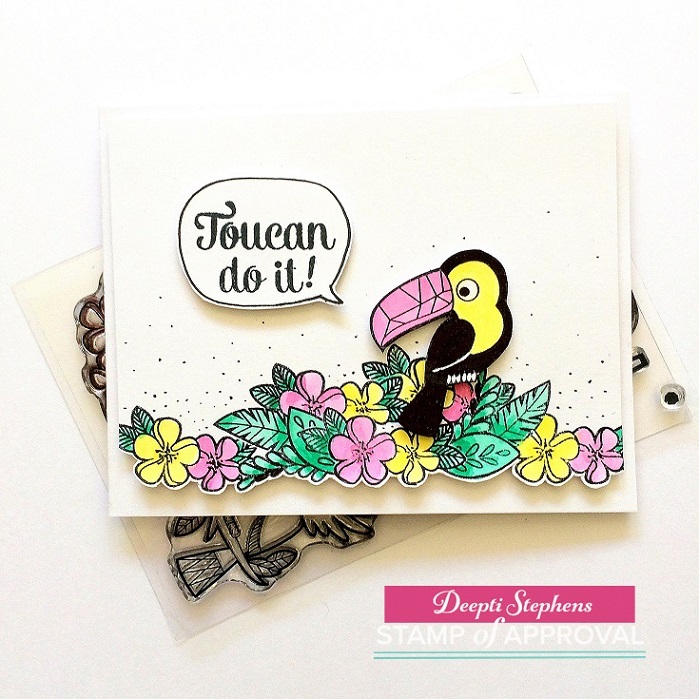 The second card features the same Toucan Do It stamp set. 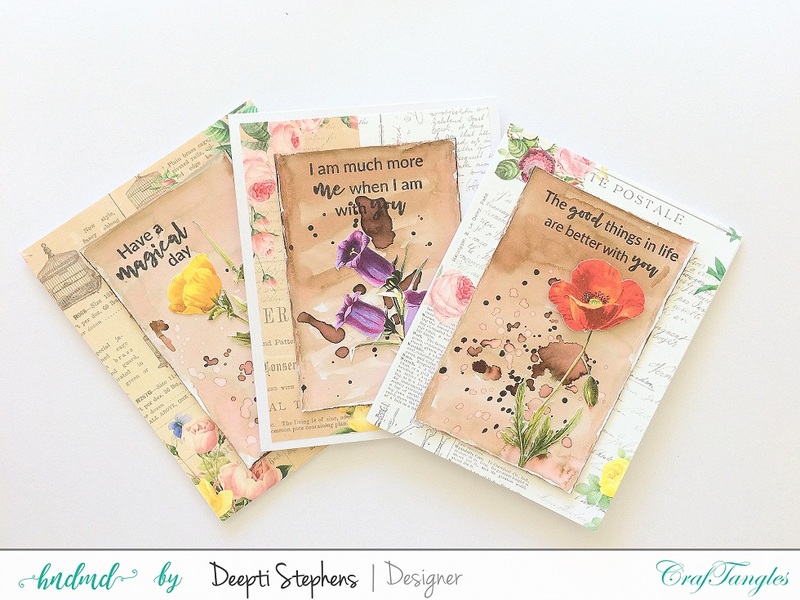 I stamped and masked the flowers, water colored them with Be Mine, Mardi Gras and Limoncello ink pads from The Carnivale Collection Bundle. Then I fussy cut the lower portion of the flower panel to form a beautiful look. Next I stamped the bird and adhered on top of the flowers. 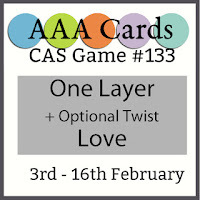 The sentiment was stamped in a hand drawn speech bubble which I fussy cut and adhered over the card front. 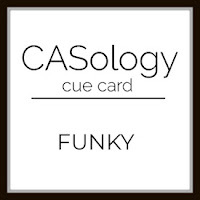 Check out all the fantastic designers below and leave comments on EVERY stop for a chance to win a $25 gift certificate to Catherine Pooler Shop. 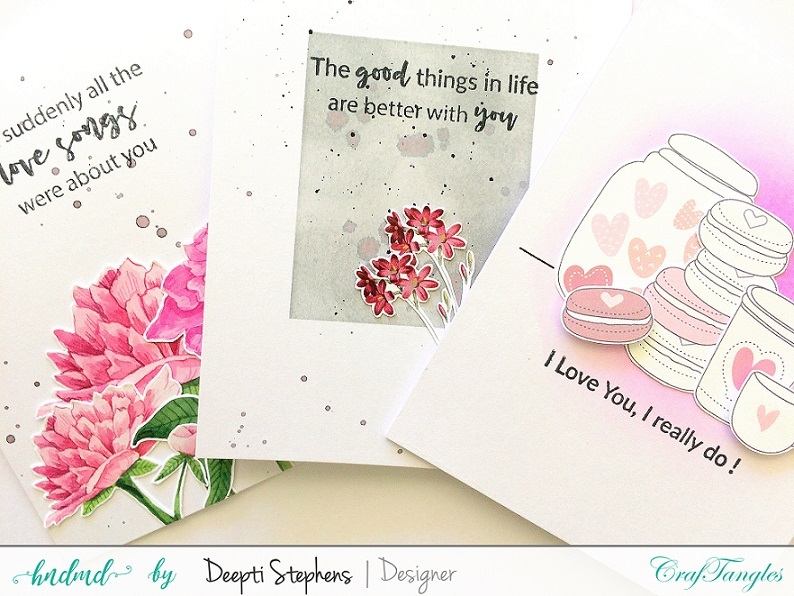 This was the second batch of cards I made in this new home, I already made a few for my Craftangles DT work and working on few projects for the upcoming Catherine Pooler's Release Hop. A little busy me! 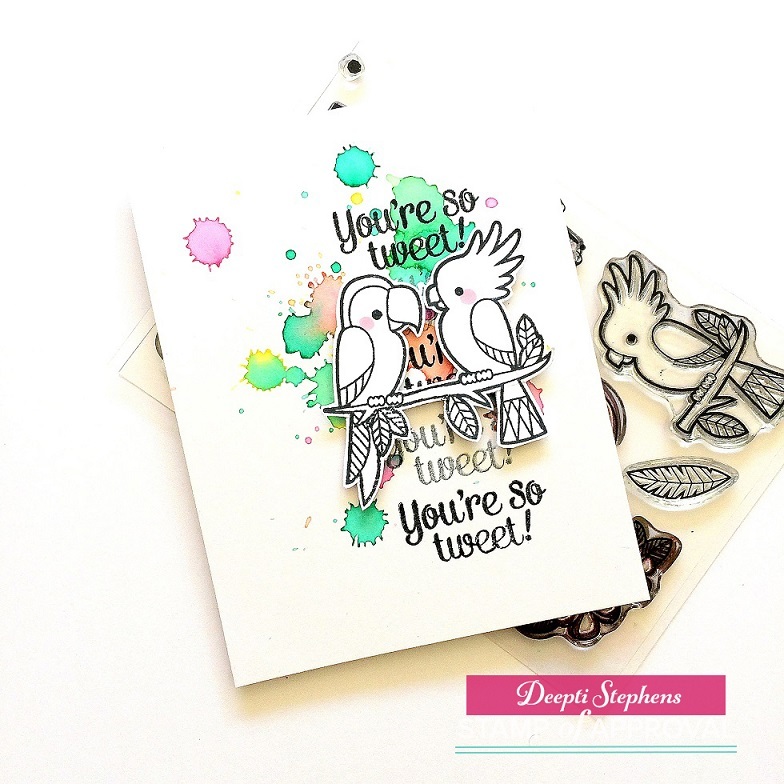 Anyhow, I used the newly released Origami Style Thinlit Dies from Sizzix for my projects today! 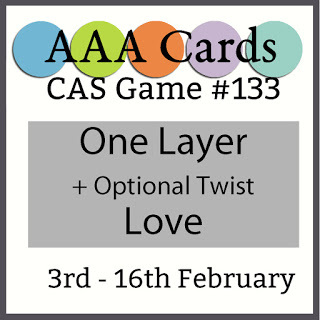 I trimmed and folded the card stock to an A2 sized card base. I blended Picked Raspberry, Spiced Marmalade, Mustard Seed and Peacock Feathers Distress Inks to the center of the card front. Then added splatters of water and same ink and let that dry. Meanwhile, I die-cut the Origami Animals out of Sizzix Card Stock with Sidekick Machine. Lastly I added the sentiment and then popped the die-cuts over the card front. Here are few more stills for you! 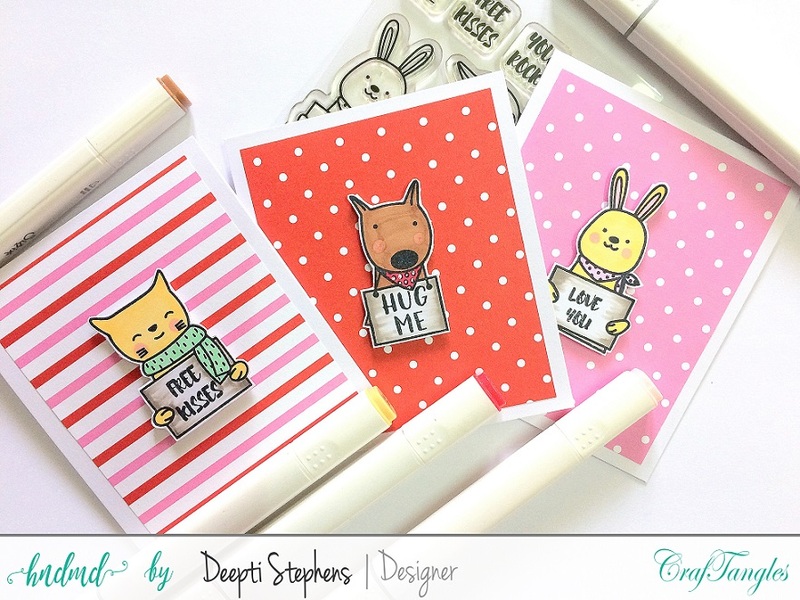 The sentiments are from Catherine Pooler's Simply the Best stamp set. Entering this bunch of cards for CASology Week 334: FUNKY.